Looking for a custom-built solution? Customize your PowerEdge R420 server today! PLEASE NOTE Only SATA Hard Drives are compatible with Onboard S110 RAID. Tailor specific configurations to your applications and user requirements with the cost-effective, next generation PowerEdge R420. The Dell PowerEdge R420 is a 2-socket,1U rack-mount server offering an aggressive entry-price point combined with internal expandability, enabling configurations to be tailored to specific workloads and user requirements, and supporting growth through the life of the server. 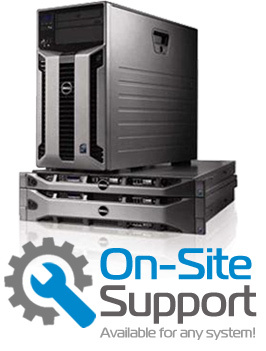 The PowerEdge R420 is an excellent fit specializing in departmental email, work group collaboration, web hosting, e-commerce and file and print in space-constrained environment sand in departmental or remote sites of large businesses and public organizations. This 1U server is designed for space-constrained rack infrastructure environments where the need for computational performance is at a premium. Extensive Performance - Featuring two Intel® Xeon® E5-2400 processors. The R420 complements its processors with 12 DIMMs and two PCI Express(PCIe) 3.0-enabled expansion slots, providing a substantial memory footprint and wide I/O bandwidth to support both memory-intensive and data-intensive applications and databases. Protect Your Workloads - The R420 offers dual SD media making your hyper-visors redundant and fail safe. Other reliability and availability features include up to four 3.5-inch or eight 2.5-inch hot-plug hard drives, both hardware and software RAID options, and redundant, hot-plug power supplies. Right Sized Computing- Put the PowerEdge R420 to work for you where opportunities abound for a 1U rack-optimized server. An excellent fit for small and medium businesses with low noise levels, it is equally capable for high-density computing, with the performance and power efficiency required for virtualization or high performance computing.